As we unfortunately enter into the dead of winter, it is imperative that we set aside a little pile of things to look forward to—things that help us mentally escape the dreary forecasts from time to time. Well, my friends, there is a new shoe trend bubbling that will help you to do just that. This shoe trend is unlike anything you've ever seen before, for it's something that's not of this world—something we like to call "space shoes." Space shoes are essentially shoes that look like they belong in outer space, are from a far-off planet somewhere, and could easily come from the costume department of the chicest space movie of our time. 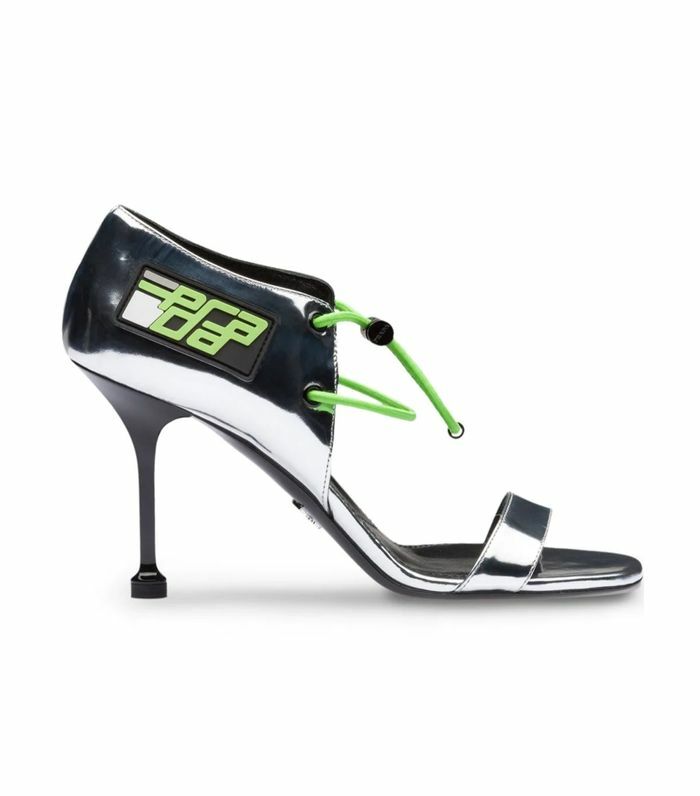 Believe it or not, designers like Prada, Fendi, and Balenciaga are leaders in this new trend movement, as they have created soles doused in metallics, neons, and alien-like graphics. This trend might seem a bit out there because, well, it is, but that doesn't mean it's not approachable. When paired with the right ensemble, these shoes will help take your look to new heights. Ahead, check out some of the space-y shoes that have caught our attention and will surely convince you this trend is worth an intergalactic joy ride or two. It doesn't get much more galactic than this. Dad sneakers in astronaut form. The space vibes on this one are subtle but effective. This sneaker brand is worth checking out. Just the perfect amount of neon on these bad boys. The space-y way to wear the naked trend. Off-White has always been out of this world. These guys have us all starry-eyed. We couldn't not include the Triple S.
Zenon would have worn these for sure. Stardust sprinkled everywhere is exactly the kind of sneaker we need. There's just something about neon that reminds us of space. A space ship of their own. Next up, shop the six fashion items everyone is renting.